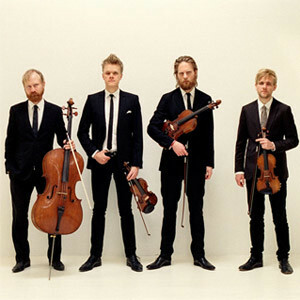 DANISH STRING QUARTET 2018-2019 Season Highlights | Kirshbaum Associates Inc. Following the exceptional critical success and popularity of the Danish String Quartet’s latest recording, Last Leaf, which was ranked among the best recordings of 2017 by New York Times, NPR, WQXR, Boston Globe, Spotify, and Billboard, among others, the Quartet will embark on a new recording project, PRISM. The project, to be released as five albums, with the first releases in Fall 2018 and Spring 2019 with further dates to be announced, also corresponds to five concert programs. PRISM curates a series of musical sets based on the historical and musical impact of Bach’s seminal fugal writing and the great final Beethoven string quartets, and compositions which were borne out of these fundamentally influential works, including quartets by Shostakovich, Schnittke, Bartók, Mendelssohn, and Webern.